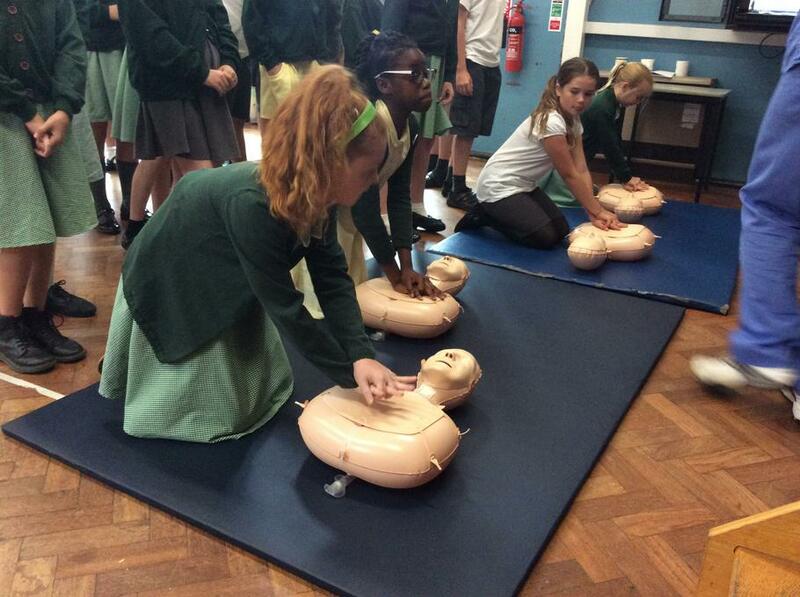 On Tuesday 11th July, all the children in the school were fortunate enough to receive CPR training from some highly qualified professionals. 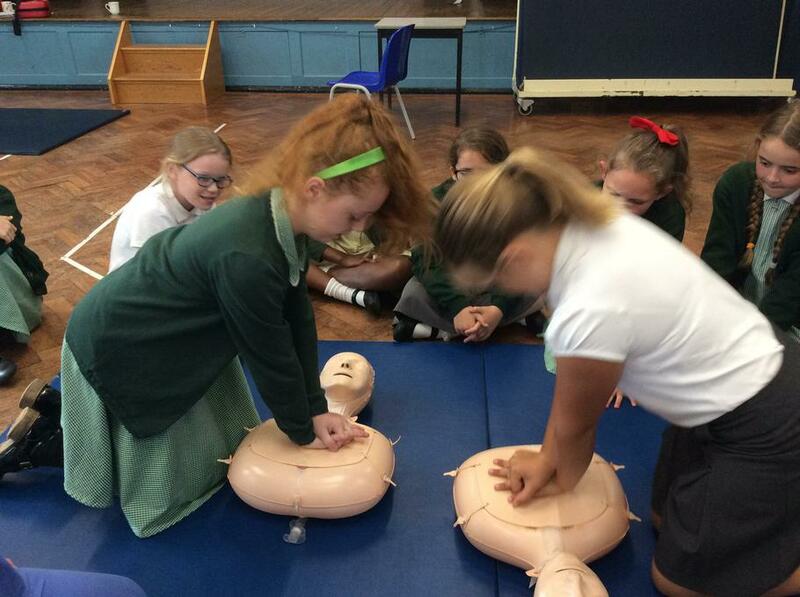 The day started with a whole school assembly where we sang the songs we had practised to help us remember the principles of CPR and to find the correct rhythm. These songs were specially written by Portsmouth Music Hub to accompany the sessions. After this, each class then had a dedicated slot with the specialists where the children got to have fun doing hands on practise. The children had a lot of fun learning these massively important skills and, as Dr Ben said “If only one child could use these skills, then that would be at least one life saved.” The passion of the medical professionals rubbed off on the children, many of whom are now inspired to become Doctors and Nurses themselves. We would like to thank these professionals for their commitment and dedication, giving up their own annual leave to work with, and inspire, the children. 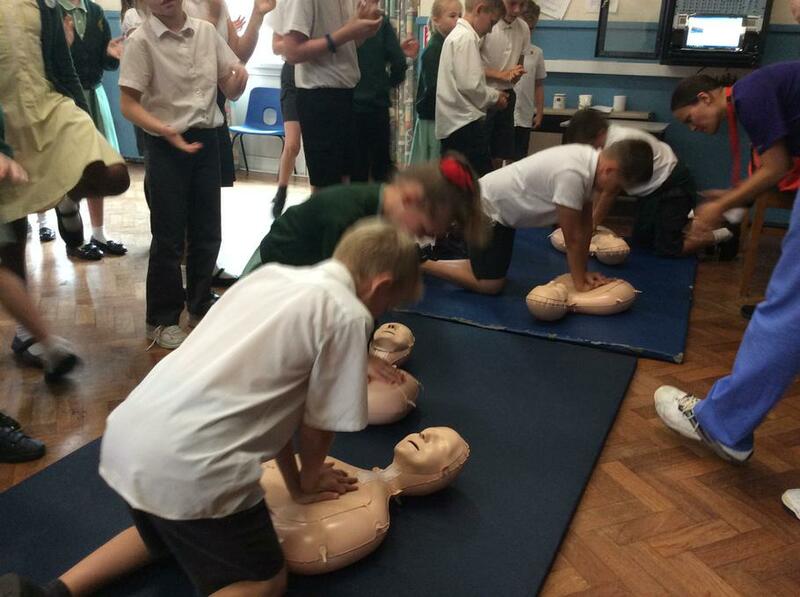 At the end of the day, the staff also had further training around CPR, choking, asthma and the use of epi pens. Thank you also to the 2 parents who attended the parent’s workshop.